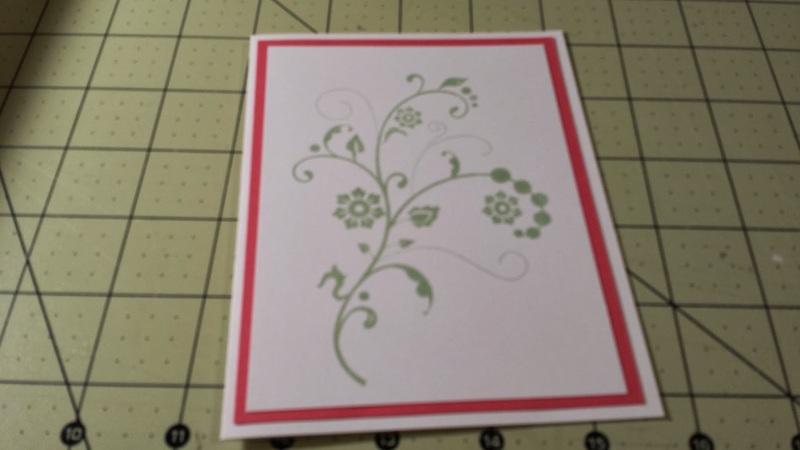 My first Valentine's Day card for 2014. 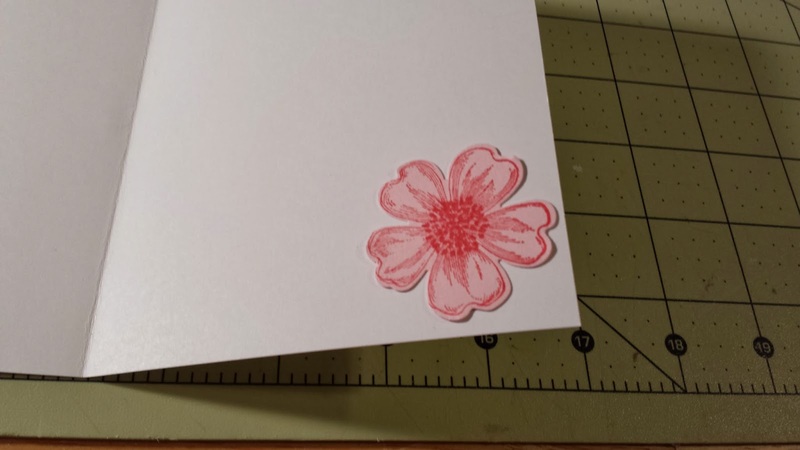 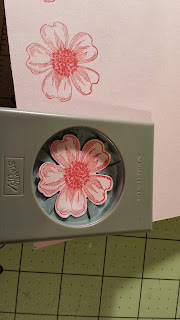 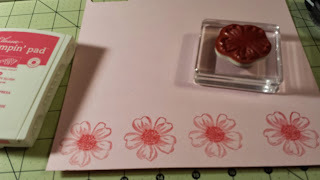 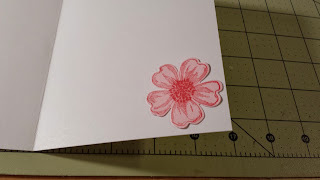 I stamped one of the flowers in Strawberry Slush four times. I punched them out using the Pansy Punch. 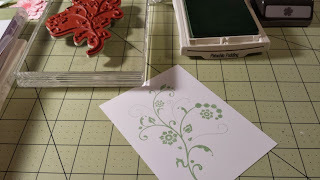 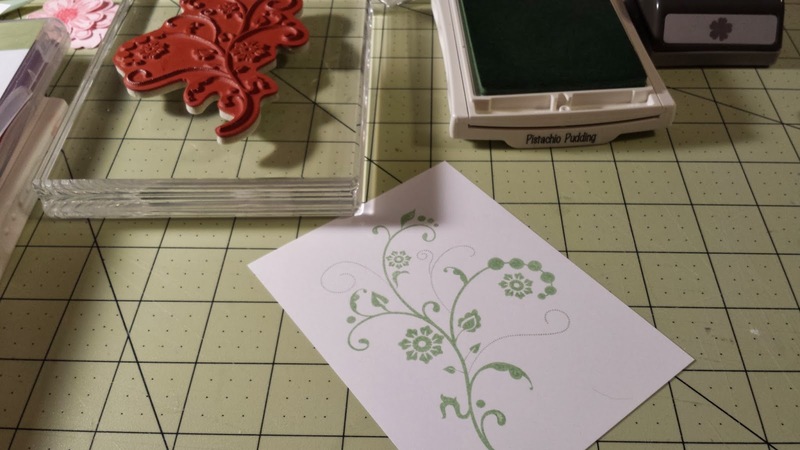 I stamped one of the flourishes from Flowering Flourishes in Pistachio Pudding on a piece of Whisper White measureing 3 3/4 x 5. I layered the Whisper White on a piece of Strawberry Slush measuring 4 x 5 1/4. 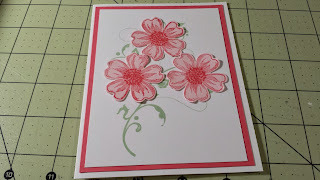 My card base is Whisper White measuring 5 1/2 x 8 1/2, scored at 4 1/4. 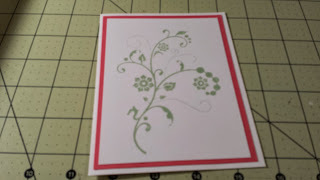 I adhered three of the flowers over the flowers on the flourish. 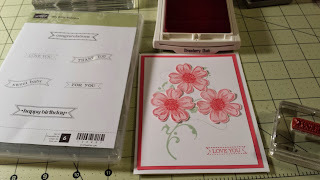 I stamped the Love You sentiment from Itty Bitty Banners. 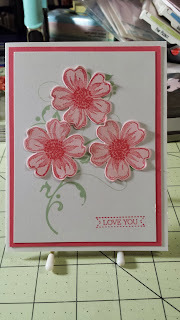 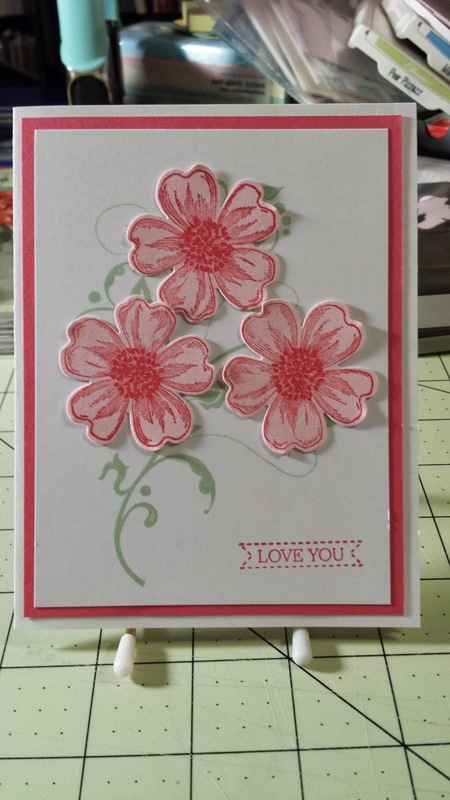 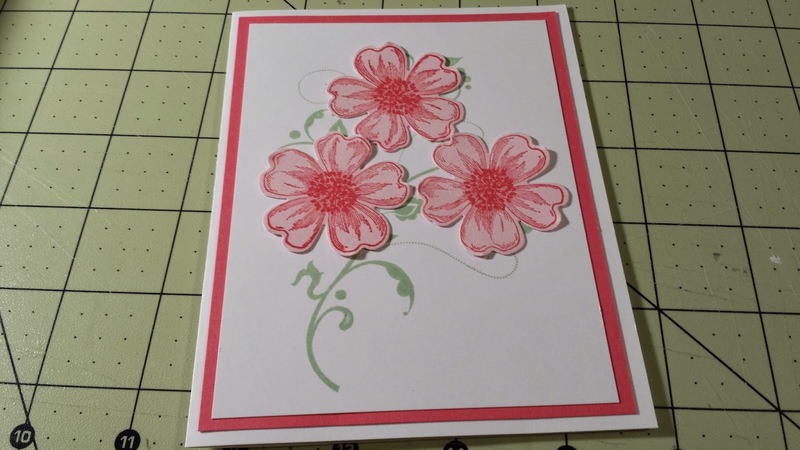 Flower Shop Bundle (Stamp set and punch) Save 15% when you buy the bundle.